Favosites corals on display at the Natural History Museum in Paris, France. 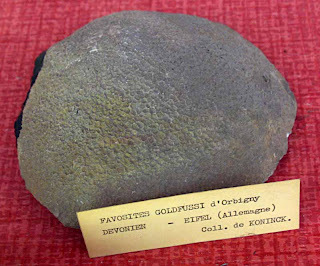 This first fossil picture is of a Devonian Period colonial coral called Favosites goldfussi. 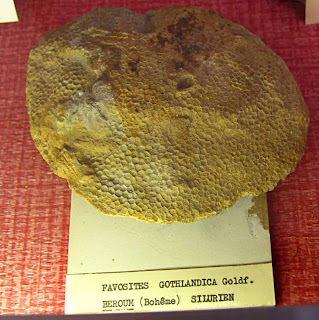 This second coral is Favosites gothlandica from the Silurian Period.